For many people, having their tonsils removed is a childhood rite of passage. The promise of ice cream and hours of television do make the recovery a much more bearable prospect, even a source of jealousy for classmates and siblings but, for the first time, research has found longer lasting health risks. The operation, known as a tonsillectomy, is the one of the most common paediatric surgeries performed worldwide, with more than 530,000 conducted on children under 15 annually in the US alone. Usually performed to treat painful recurring tonsillitis and middle ear infection, a tonsillectomy often occurs alongside the removal of the adenoids, known as an adenoidectomy. 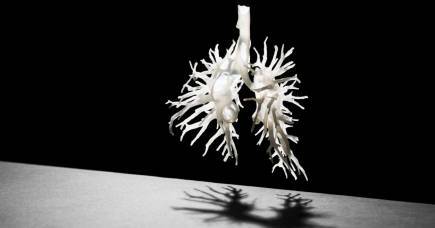 Adenoid surgery is also performed to improve breathing when the airways are blocked. Because adenoids in particular shrink by adulthood, it was historically presumed that tissues like these were redundant in the body. But we now know that adenoids and tonsils are strategically positioned in the nose and throat respectively, in an arrangement known as Waldeyer’s ring. 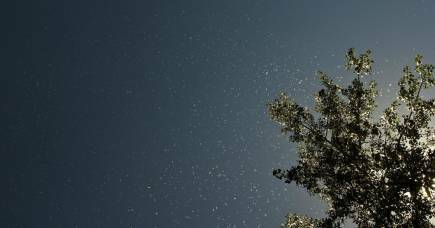 They act as a first line of defence, helping to recognise airborne pathogens like bacteria and viruses, and begin the immune response to clear them from the body. 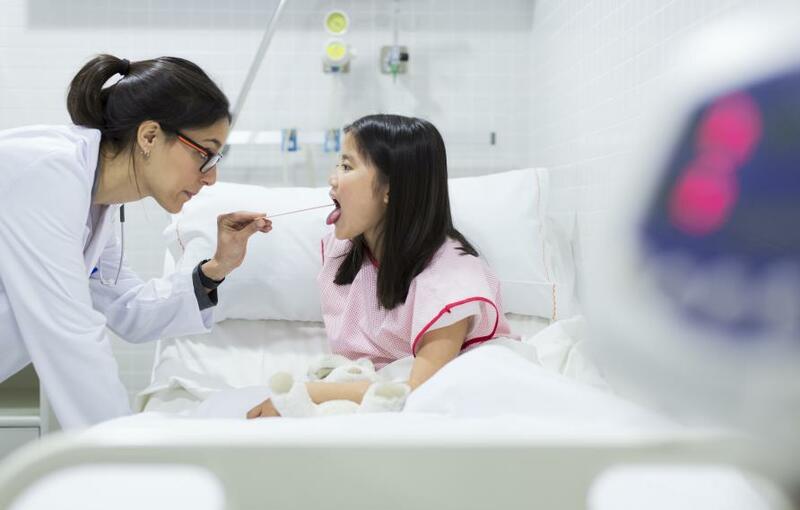 Now, in a world first, a study led by the University of Melbourne has specifically looked at the long-term effects of removing the tonsils and adenoids in childhood. The research shows that both tonsillectomies and an adenoidectomies are associated with higher levels of allergic, respiratory and infectious diseases later in life; these are important, the researchers say, to weigh up alongside the already known short-term risks of surgery. The study provides more evidence to support possible alternatives to surgery when possible. Dr Sean Byars from Melbourne Integrative Genomics and School of Biosciences at the University of Melbourne led the research, with Dr Stephen Stearns from Yale University and Dr Jacobus Boomsma from the University of Copenhagen. The team analysed a dataset from Denmark, one of the most complete in the world, comprising health records of 1,189,061 children born between 1979 and 1999, covering at least the first 10 years, and up to 30 years of their life. Of the almost 1.2 million children, 17,460 had adenoidectomies, 11,830 tonsillectomy and 31,377 had adenotonsillectomies, where both tonsils and adenoids removed. Dr Byars explains that the health of children who had these operations was then analysed for diagnoses of 28 respiratory, infectious and allergic diseases and compared to children who hadn’t had surgery, after ensuring all children had general good health. “We calculated disease risk later in life depending on whether adenoids, tonsils or both were removed in the first 9 years of life,” Dr Byars says. Tonsillectomy was found to be associated with an almost tripled relative risk - the risk for those who had the operation compared to those who didn’t - for diseases of the upper respiratory tract. 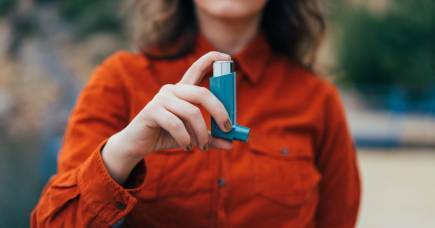 These included asthma, influenza, pneumonia and chronic obstructive pulmonary disorder or COPD, the umbrella term for diseases like chronic bronchitis and emphysema. The absolute risk (which takes into account how common these diseases are in the community) was also substantially increased at 18.61 per cent. “The association of tonsillectomy with respiratory disease later in life may therefore be considerable for these people,” Dr Byars adds. Adenoidectomy was found to be linked with a more than doubled relative risk of COPD and a nearly doubled relative risk of upper respiratory tract diseases and conjunctivitis. 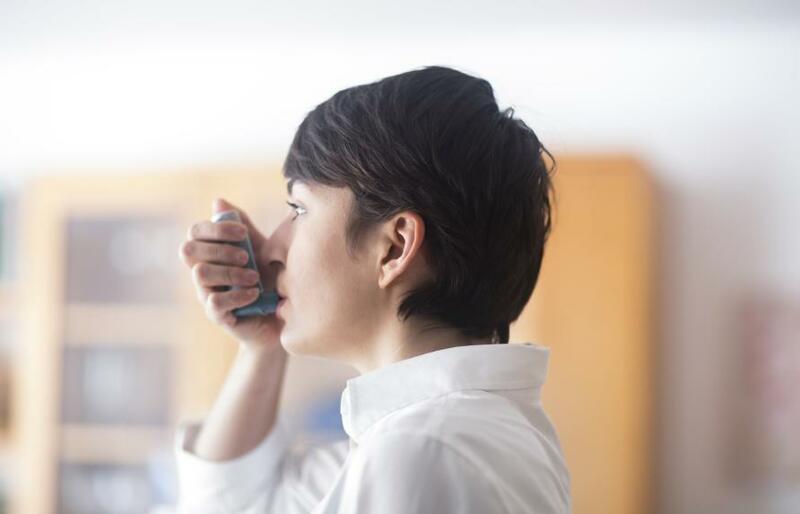 The absolute risk was also almost doubled for upper respiratory diseases, but corresponded to a small increases for COPD as this is a rarer condition in the community generally. The team delved deeper into the statistics to reveal how many operations needed to be performed for an additional disease to occur than normal, known as the ‘number needed to treat’ or NNT. “For tonsillectomy, we found that only five people needed to have the operation to cause an extra upper respiratory disease to appear in one of those people.” Dr Byars said. The team also analysed conditions that these surgeries directly aimed to treat, and found mixed results. Adenoidectomy was associated with a significantly reduced risk for sleep disorders and all surgeries were associated with significantly reduced risk for tonsillitis and chronic tonsillitis, as these organs were now removed. However, there was no change in abnormal breathing up to the age of 30 for any surgery and no change in sinusitis after tonsillectomy or adenoidectomy. Following adenotonsillectomy the relative risk for those who had the operation was found to increase four or five fold for otitis media (inflammation of the middle ear) and sinusitis also showed a significant increase. The study suggests that shorter-term benefits of these surgeries may not continue up to the age of 30 apart from the reduced risk for tonsillitis (for all surgeries) and sleep disorders (for adenoidectomy). Instead, the longer-term risks for abnormal breathing, sinusitis and otitis media were either significantly higher after surgery or not significantly different. 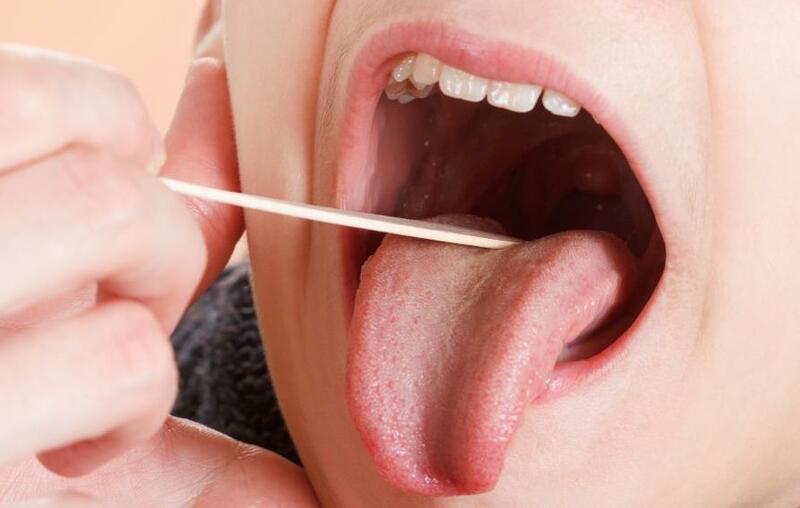 The researchers note that there will always be a need to remove tonsils and adenoids when disease is severe. 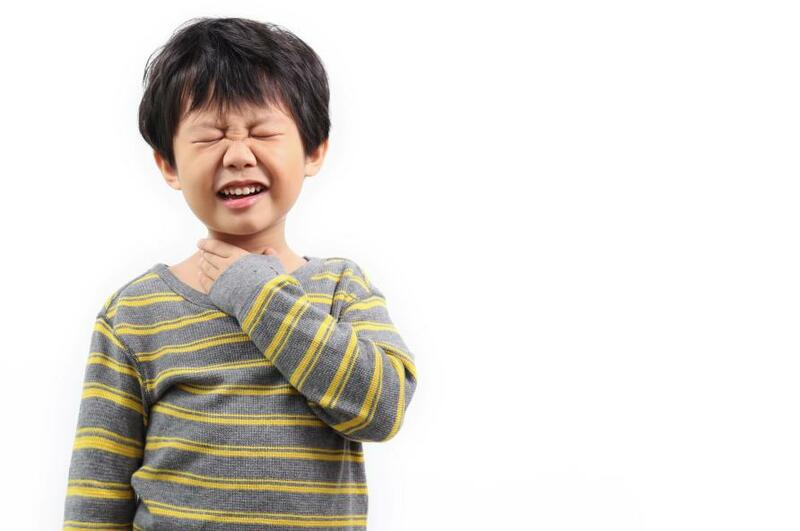 “But our results support delaying tonsil and adenoid removal if possible, which could aid normal immune system development in childhood and reduce the possible later-life disease risks we observed in our study,” Dr Byars says. As we uncover more about the function of immune tissues and the lifelong consequences of their removal especially during sensitive ages when the body is developing, this will help guide parents and doctors about what treatments they should use. Banner: Ringo Starr with fellow Beatle George Harrison after having his tonsils removed in 1964/ Getty Images.